Is Scotland Literally Out Of This World? Scotland is to be consecrated to the Immaculate Heart of Mary for the first time, on September 3rd, at the Carfin Grotto. The Scottish Bishops will pronounce the act of consecration, with the Bishop of Paisley, John Keenan, calling for Catholics to prepare for the event, spiritually, for 40 days beforehand. Click here to read the programme of preparation. There are some real nuggets for discussion on that list, so share your thoughts on the planned preparation. Thing is, I don’t get it. We’re told by popes, bishops and priests that Our Lady’s request to consecrate Russia to her Immaculate Heart has been fulfilled – Russia does not need to be named – because (wait for this) Russia is “in the world” and the world has been consecrated by Pope John Paul II and Pope Francis. A bit like baptising all the babies in Glasgow and telling the family and friends who came along to see wee Johnny baptised that he’s been baptised, he just wasn’t named. Duh! But, if consecrating the world suffices for the Russian consecration, why consecrate Scotland? Is Scotland, really “out of this world” in the literal sense, and not just because they’ve got some nice scenery up there in the Highlands? Of course not. Scotland’s very much in (and of) this world, so why is there a need to consecrate Scotland by name, and not Russia? Other countries have been consecrated, too, in recent years, and they’re all in the world, as far as I know. During my traditionalist period I wrote a letter to Bishop Keenan asking if he would consecrate his diocese to the Immaculate Heart. I told him that the consecration would be spiritually beneficial, just as it was when Portugal was consecrated in the 1930s. I knew that Bishop Keenan had a strong Marian spirituality, but I didn’t know Fatima was his thing. I am therefore somewhat surprised by this. Perhaps my letter convinced him? Not meaning to belittle the power of consecration, but I do wonder at two things: firstly, the contradiction in refusing to consecrate Russia, saying EXPRESSLY that Russia is in the world and the world has been consecrated, so no need to specifically consecrate Russia, and then consecrating every other country under the sun! You have to laugh, and I’m pretty sure they’re (up to a point) laughing (sardonically) in Heaven. Secondly, I wonder at the potential efficacy of this consecration given the silence of the Bishops on key moral and religious issues, their love of ecumenism and inter-religious dialogue etc. I cannot see Our Lady “making good” on any consecration which is not truly “Catholic” so to speak. A glance at the preparation list does not augur well, in my humble opinion, but, we’ll see. I have to agree. There’s a definite contradiction. I also wonder what Our Lady will think of the Consecration when the Scottish Bishops have done everything they can to suppress the True Mass! That is an excellent point about the Mass. The Scottish bishops did try to suppress Summorum Pontificum right from the start. I remember a statement on the Bishops’ website saying there was no call for it in Scotland. How could there be, when it was never mentioned? Nobody knew it was still possible to attend it. I also thought there were some very strange things on the preparation list such as, for August 10th, “Reach out to someone in your Family who needs your love.” That’s just so “touchy feely” and laughable, really. I’m not being facetious when I suggest that maybe the consecration will help make reparation for the Scottish Bishops’ suppression of the Mass. It can only help, surely? It can’t be a bad thing to consecrate a country to Our Lady, can it? Perhaps this “Consecration Craze” is an implicit admission that the Pope has not actually performed the one requested by Our Lady? An unexpressed sense of the need for some response, to make up for the Pope’s/Popes’ failure in the face of growing doom and collapse? There I go being kind-hearted again. My first thought was to wonder why they didn’t schedule this for August 15th, but then I noticed that Sept. 3rd is the Feast Day of St. Pius X…..in the SSPX, that is. Will wonders never cease. I thought most of the preparation list (with the exception of such things as “surprise a loved one with an unexpected gift” and “create somethings special with your family today.”) was rather startlingly Catholic, given what I’ve read here about the Scottish hierarchy So perhaps there is a new member of the Scottish hierarchy we don’t yet know about, who has appeared from out of this world, with surprising influence on his peers…. I also hope this is a real Consecration, unlike the one allegedly performed by Cardinal Nichols earlier this year (or was it late last year? ), which we discussed here. I agree with you that there are things on the preparation list that are really quite Catholic, although I do wonder how many people will undertake the 33 days preparation for the De Montfort consecration. I can’t imagine that many will do that but it’s still nice to see it on the list. Generally speaking, I think the consecration will be worth doing, and if enough people do prepare well through prayer and sacrifice, then maybe it will bring great graces to Scotland. I definitely agree that this consecration looks more like another gimmick than any genuine attempt to improve the spiritual life of Scotland. It will be interesting to read the actual prayer of consecration when the time comes, to see just how “Catholic” it is – will it be likely to ask Our Lady to bring our “separated brethren” back into the true Church, for example? I don’t think so. As I said in another post just now, maybe it is a “gimmick” in the minds of the bishops, but surely it can only be a good thing to consecrate Scotland to Our Lady, who can bestow graces on the nation and its leaders, both the politicians and the hierarchy? I am tempted to think many Diocese, and countries, are marking the centenary of a series of Private Revelations at what became a major International Shrine. I spoke to a Catholic Travel Agency recently and he said bookings for Fatima are well up this year, and, for some unexplained reason, so are pilgrimages to Knock. Yes, I think the prayer of consecration will tell us a lot. I also think many of the preparation suggestions are good, although I can’t see many people taking on St L Marie De Montfort’s 33 day consecration, myself. Still, it’s good that it’s listed so that at least some people might do it, and it gives is publicity, which can only be a good thing. I do agree that the prayer of consecration will be key in this. If it is not a genuine prayer of consecration, naming Scotland, then it won’t be as powerful, although there may be some graces from it. I agree with you. I don’t think this is a gimmick, I think it’s a genuine attempt to honour Our Lady on the 100th anniversary of Fatima, even if the bishops usually indirectly dishonour her by not obeying her Fatima requests, primarily the consecration of Russia to her Immaculate Heart and a refusal to institute the five First Saturday’s devotion of reparation in every Catholic church in Scotland. Anyway, there are many good things in the list of preparation they suggest, including saying the rosary, fasting and abstaining, giving alms, etc. Some of the other suggestions are typically Modernist, humanistic claptrap, and there’s one article of heresy there as well, which is to offer reparation for the sins of the Church in Scotland. The Church, either in her national or universal nature, is the spotless Bride of Christ and is therefore incapable of sinning. Church members sin, the Church does not. So what the bishops suggest is nothing short of heresy, and probable blasphemy. They give the impression that the Mystical Body of Christ is sinful. Poor lost shepherds, let’s hope Our Lady wins for them the grace that the scales of Modernism may finally fall from their eyes. The crisis in the Church is after all a crisis in the clergy, particularly the prelates of the Church at the higher levels. If only they had the courage to speak out for the purity of God and Our Lady when anti-Christ governments introduce evil into law. They ask the rest of us to be faithful while they hide from the enemy out of human respect. I admire your charity and you may, of course be right (has to happen eventually!) about the Bishops genuinely wishing to honour Our Lady in this centenary year of the Fatima apparitions. I sincerely hope that you ARE right. To be consistent, however, they need to stop suppressing the full message of Fatima, as they are doing. It’s not that they don’t know it; a reader told me recently about the man in his parish responsible for the Fatima events this year, and when the Fatima Center was mentioned, he immediately pulled a face and said that the Bishops don’t approve. Well, to not approve of something, one has to know about it in some detail. Thus, to know that two popes have consecrated the world (John Paul II in 1984, and Francis in 2013) and that those whom Christopher Ferrara describes as the False Friends of Fatima cite this as a reason why Russia need not be consecrated by name, means that they either recognise the importance of consecrating a nation by name (in which case they are complicit in peddling the lie about Russia) or they don’t see the importance of consecrating a nation by name, in which case, what is their rationale for invoking Fatima as a reason to consecrate Scotland? Perhaps “gimmick” is a bit too strong, but I think the bishops misguidedly grasp at any and everything novel in order to give the illusion of Catholic action. It may not even be something they do consciously (she said, desperate to match Athanasius’s charity), but I find it hard to believe (she said returning to form) that they are planning a truly Catholic consecration of the nation: remember, the whole point of the new Mass was to remove everything that was objectionable to Protestants, so they are unlikely to consecrate Scotland with a prayer designed to bring the graces necessary to restore it to its former Catholic glory. But, like I say, I could be wrong… as if! If I had seen it pm rather than am, I would have certainly poured myself a medicinal stiff whisky and with a clear conscience. Bishop Keenan should look out from his cathedral across to the beautiful but austere Paisley Abbey and realize that Christianity is supremely serious. It is about time that His Lordship reflected this seriousness. I wasn’t impressed either. Just look at the “audience”: … a load of oldies. Doesn’t say a lot for the vibrancy of the Church in Glasgow! In fact, it it wasn’t sad, it would be hilarious. That was my response too. You are right about the lay people present – overwhelmingly it’s the same dominant demographic as is present within the churches: elderly ladies. The last point is pertinent because it should show the Bishops that they will not manage to reach a wider demographic with these gimmicks. In that sense, the problem is with what is being served up, not how (or where) it’s presented. Only trying to be charitable, for once! Well, Prognosticum, I really thought you were joking. After all, the photo is in the public domain. This is a Catholic blog and we are entitled to comment on the ludicrousy of girl altar boys. However, since you are not in the habit of making such requests, and since it’s no big deal, really, I’ll do as you ask. Generally, however, my attitude to such a request would be, if the parents don’t want any commentary on an altar girl boy, better not to allow them to BE one, and certainly not to be photographed as such. I’ll now delete the “offensive” references to the girl altar boy but with this request – that in future, any bloggers who object to anything and wish me to delete something, please do so by email. It is extremely unfair to do so publicly on the blog. For the first time ever, on viewing that photo, and whilst being furious at the whole scandal and abuse of the Mass for PR purposes, I actually felt sorry for Bishop Keenan. The whole “spiritual blindness” thing struck me forcibly – he actually believes that this is a good thing, that he is promoting the Faith etc. It’s tragic. He’s too young himself to have been properly formed in the Faith and, well – it shows. Imagine that… this is what we’ve come to: uncatechised bishops! Very sad. I can well understand your nausea upon reading of this ridiculous performance by Bishop Keenan. I felt exactly the same when I saw the headline photo. This is classic of the kinds of gimmicks clergymen come up with when the fullness and beauty of the Catholic Faith is lost. They start trying to think up ever more ludicrous ideas to attract people to religion, while all the time they themselves are the root cause of the general apostasy. Not a single soul will ever be supernaturally inspired by this latest novelty. To use the Mass and the Sacrament of Confession to promote a gimmick like this mercy bus rubbish borders on the sacrilegious. If I didn’t know better I would have looked at that Herald photograph and immediately thought “poor Pentecostal Protestants, they’re so lost to the sanctity of the true religion”. How tragic that these people still actually identify as Catholics when they are so far removed in belief and practice from all the Catholics throughout the centuries up to Vatican II. The only thing their mercy bus inspires in me is a sigh and prayer “O Lord, have mercy on thy holy Church given over to Modernist barbarians”! Further more than one Parish has begun with a priest celebrating Sunday Mass in a Public House. Is the Bus, aimed at publicising the offer of Mercy from God, any more scandalous? I think not. Those who attend Traditional Masses in secular buildings, etc., do so because the Bishops will not grant them access to a Catholic Church. It is a wholly different setup from the “mercy bus” joke. Traditional Catholics only have recourse to secular buildings by necessity, like the Irish priests and the Mass Rock situation during the persecution. These mercy bus clowns have Catholic churches and don’t want to use them. They want exciting novelties to try and make their Modernism relevant. I have to say, though, that there are very few Traditional Catholic these days using secular buildings for Mass, most of the Traditional Masses now are celebrated in properly consecrated Catholic churches. I think you must be hearking back some decades when episcopal persecution of Tradition and Traditional Catholics was at its height. St Anne’s Church Leicester, (Church of England), and the Summertown Conservative Club in Oxford are consecrated Catholic Churches? The Church is not meant, for example. to affiliate with any Political Party, and I believe many here do not recognise The Church of England? Why is a Bus less acceptable and why is it right to identify The Holy Sacrifice of The Mass with affiliates of a Political Party? Martin, St. Anne’s church in Leicester is a Catholic church served by the SSPX. It was originally a Christadelphian church. Having a meeting or a Mass in a Conservative Club doesn’t make you “affiliated” to a political party. That’s ridiculous. They rent out rooms for meetings to anyone who wants to book. A Bus is less acceptable than a room because you can adapt a room, in a case of necessity, to be able to offer Mass with reverence. You can’t do that in a bus and anyway there was no case of necessity to have Mass on a bus. This was a gimmick and showed a lack of reverence for the Mass. The Catholic church does not let rooms to Political Parties. Likewise, we cannot – in Canon Law – associate The Church, at any level, with a Political Party. Using one of their premises does so. Any space can be adapted for Mass! Political Affiliations, or the appearance of them, cannot be. Athanasius, while you are correct about the Irish priests and the Mass Rock, we shouldn’t forget that we had a similar situation here in Scotland. There were Mass Stones (as they are called here) in many parts of the Highlands where the heather priests would say Mass for those who held firm to the Faith. I once came across an article about the Mass Stones of Lochaber and must try to track it down again and a few months ago on the blog I posted the words of a song about a Scottish Mass stone. Well is this what the Church in Scotland has come to? Tragic really. I won’t be showing my four (manly) sons that photograph and that’s for sure! An emasculated priesthood and a “de-sacredised” Mass. Is that English?!! I was about to accuse you of echoing me and then checked the time – you were first! But, like I say, don’t worry about English! You have put it into a nutshell, as the saying goes. “An emasculated priesthood and a “de-sacredised” Mass.” Sadly, very true. N O T I C E . . . If anyone considers that something should be deleted on the blog, please do not suggest it publicly. Email me with any concerns. I do not wish to encourage a discussion on our administration policy and practice, but I will say that, in general, if the administrator does not consider something ought to be deleted, that should be an end to it. I’ve made an exception on this one occasion, after a couple of requests from one blogger to delete certain references to the Mercy Bus photograph, despite disagreeing that there was any need to do so. Please, however, do not put me in this position again. As I say, any blogger with concerns ought to email me if they have objections to anything posted on the blog, but, before they do, be aware that I have no intention of pandering to any and every sensitivity. If people do not wish to have a photograph discussed they ought not to pose for it and certainly they ought not to agree to it being published in the public domain. As some who read The Remnant might remember, we moved to Scotland 3 1/2 years ago. Since then I have sadly learned the reality of the NO Church, in particular in relation to Scotland. I asked the new Bishop of Argyll and the Isles, at his ‘Mass’ at our church “Will you be addressing the crisis in the Church in your sermon?” “Crisis?” “Yes, the crisis.” “Which Church? The Catholic Church?” “Er….yes….the Catholic Church”. “Er….no ….I’ve written something for it already”. “Oh, right”. Crisis? Hey, man, it’s all about love (the previous priest’s summing up of Amoris Laetitia). I could relate more but you get my drift. Apart from the FSSP presence and Papa Stronsay, where exactly is the True Catholic Church here? Oh I know…online. Papa Stronsay? Where they are big into “obedience” to the local modernist bishop to the point where the only Masses listed on their website are two which they offer on the “neighbouring island of Stronsay” – a three-seconds boat ride away! Stronsay is a tiny island and is served by – wait for it – a priest affiliated to the Society of St Pius X (SSPX) so there’s some overkill up there in the Diocese of Aberdeen in terms of traditional Mass provision. Not that the mainland of Aberdeen locals will know that, of course – unless they take a holiday on Stronsay! Heloisa, I don’t know where you live in Scotland; you identify your diocese as Argyll and the Isles but give no precise location. Whatever you do, though, do not think of moving to the Diocese of Aberdeen unless, as indicated above, you choose Stronsay. Editor, In present circumstances, most of us have to learn/relearn what is going on in the Catholic Church from online sources and then do the best we can in our individual circumstances, which in my case means online FSSP Mass – PERIOD. Identifying genuine Traditional Catholic sources online is extremely difficult. Sadly, even when we think we’ve found them the current situation means everyone has different opinions and sometimes one finds out later that the correct Traditional teaching given out by committed Traditional Catholics was – well – wrong, however well-intentioned. Discussion lists etc can therefore be great and very helpful but only if one can comment, ask questions, query those more knowledgeable etc. What is not helpful is sarcasm, mockery and replies which are ?supposed to be funny but fall flat at the other end because not knowing the writer, they just come over as, well, sarcasm or garbled replies which have no real meaning. I have no idea from your reply what you are trying to say. I know there are issues over the FSSP, but in my (obviously very limited) online experience I’ve yet to ‘hear’ an NO Mass said by an FSSP Priest or hear that any of them say the ‘new’ Rosary. All prayers they use at the online Masses are Traditional (I think – you’ve now got me wondering and suspecting – is this charitable/correct behaviour?). You appear to be saying that in your personal opinion one shouldn’t be going to FSSP Masses – or are you just having a bad day and being sarcastic about us idiots who don’t know any better? Your second paragraph is similar. I’m aware that there is history between Papa Stronsay and SSPX (no idea what the true current set-up is) but I’ve no idea whether you’re saying that the SSPX connection makes them invalid; that one shouldn’t consider them Traditional because of their relationship with the Diocese or whatever. Since I don’t you from Adam (or Eve) I have no idea whether this is just more sarcasm or an attempt to steer people away from (?in your view) heretical/pretend Traditional Catholic centres. However, you then say don’t go to Aberdeen unless you go to Stronsay. Clear as mud. Since I can’t get to Orkney or Aberdeen to hear Mass, in one sense it’s academic. However, if all these societies are anathema, where do Traditional Catholics in Scotland go to Mass? Beats me! Regarding sarcasm, when I wrote to Margaret saying ” I pray for him every day (draw your own conclusions ;-))”, you told me to stop broadcasting my personal opinion that the Pope was the False Prophet. I take it then that it’s fine to mock people who aren’t as knowledgeable about the situation as you obviously are? You don’t by any chance moonlight as a moderator for the Remnant, do you? Yes, I am being sarcastic with that one! Going by a number of replies on this site to people who are obviously either seriously struggling with their Faith or just struggling with life generally, the ideal of Catholic charity, patience and forbearance is not too high on some people’s agenda – perhaps nerves are just becoming seriously strained, but I’m tired of getting up to find yet another sarcastic reply so sadly, after less than a week, I’m withdrawing already from what is obviously just going to be another battlefield. If you don’t want to post this, fine, but please bear it in mind next time you feel like employing sarcasm because I hate to think how many people who, ignorant through no fault of their own and just genuinely seeking the Truth about the Catholic Faith, are driven away by uncharitable responses or ‘funny’ ones which are anything but funny at the receiving end. With respect, you have completely misrepresented my post. First up, were you not “sarcastic” yourself about the Bishop of Argyll and the Isles: “Hey man, it’s all about love…” in response to him? What’s wrong with a bit of “sarcasm” which is only, by definition, the use of irony to drive home a point. No big deal. Just as you do not know me from Adam or Eve, I do not know you, and so I presumed – given your reference to The Remnant – that you were reasonably well informed about the crisis in the Church. Thus, in response to your reference to the FSSP (with their compromise with modernism) and the Papa Stronsay monks, (ditto) as being examples of “true” Catholicism, I expressed MY surprise in my own writing style. That’s the way I write. I’m not changing it. Anyone who is offended by it, don’t read it. There are other excellent bloggers here, much more knowledgeable than yours truly, so skip my comments, if they offend you. There was nothing personal in my comment – it was a response to what you had said, with no intention to offend, but, as I say, don’t read them if my writing style upsets you. I do not say that people should not attend FSSP Masses; of course it is right to attend any Traditional Mass. My “sarcasm” was in reference to the idea that they represent, “true” Catholicism. And the same goes for the Papa Stronsay monks. You mentioned them, which is why I mentioned them, and if you knew the geography, you would know that the monastery on Papa Stronsay can be seen from the island of Stronsay, they are that close. My “sarcasm” then, was intended to underline the fact that if you live on the remote and tiny island of Stronsay, in the Diocese of Aberdeen, there are several traditional priests, several traditional Masses but none in the rest of that large Diocese, which seems to me to be to be crackers. As far as I know, at this time of writing, there is only an occasional Mass offered by the Society-affiliated Stronsay priest who visits the mainland during the month at some point, to offer a Mass, I think in someone’s home. This information may be out of date, but if you check the website of the Papa Stronsay monks, they only advertise two Sunday Masses, both on Stronsay where there already is a priest and Mass. Again, crackers, given that there the population consists of a handful of people only. I don’t know what you were expecting in the way of a reply, since I tried to cover the points you’d made (and obviously failed) but if it helps, we have a reader who lives in Dunoon in your diocese, and she often comes to the First Friday Mass in the SSPX chapel in Glasgow. It’s quite a journey, but I mention it – not to make YOU feel you ought to do that – but just to let you know that there is at least one “real” Catholic (apart from your good self!) where you live. 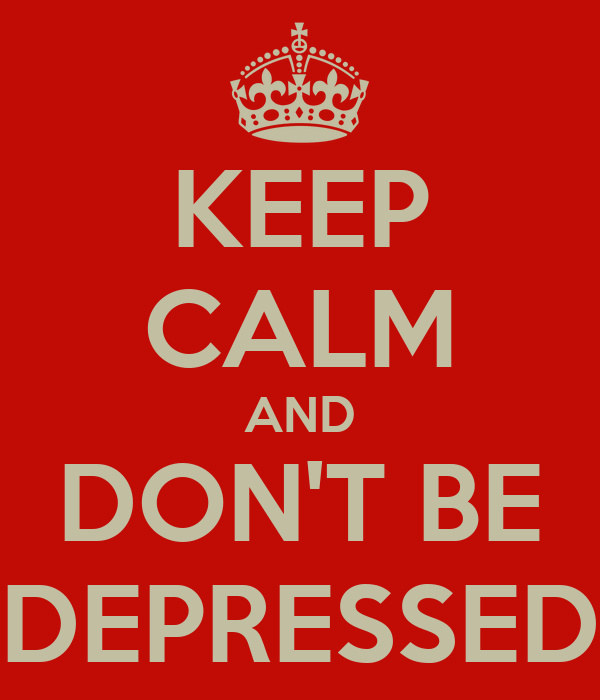 Don’t be depressed – that’s the work of the devil. We should remain at peace within, no matter the dreadful state of the Church in our times, no matter the cheeky sarcasm we encounter… We are, in a sense, privileged to be aware of said dreadful state. The majority are not aware, but think the chaotic state of the Church today is normal, and that is about the clearest evidence of the diabolical disorientation to come foretold at Fatima. Editor, the Papa Stronsay priests say a monthly Sunday Mass in the Sacred Heart church in Aberdeen but given that, geographically, it’s the largest diocese in the country it’s not really very much. Regarding the two Masses that you mention from their web site, one is on Papa Stronsay and the other on Stronsay. Thanks for the reply – no problems. For the record, I wasn’t being sarcastic about the Bishop – it was pretty well word for word what he said. I did add in the ‘hey man’ for the priest just to illustrate his manner but he did say about AL “well, it’s all about love really” as he paraded down the aisle guffawing. The lady in Dunoon must go by ferry to the TLM, I think? We’re 150 miles away by minor road (one way) and it’s just not an option for various reasons. I’m not really depressed about the situation because we have been forewarned and know that God is in control of it all, but without Traditional Priests – or laity that I know of, for that matter – on the ground, it can be heavy going and lonely sometimes on a day-to-day basis! Puting aside all the other stuff you mention in your post, why don’t you move house to a location where the Traditional Mass is available to you at least weekly? I know this is easier said than done but what is more important in this life than Mass and the Sacraments? Is it possible for you to consider a such a move? If it were me, I would move heaven and earth to make sure I could get the Mass. Everything else is of a very distant secondary importance. I appreciate your response – and your sentiments – believe me, I do! The answer is no, I can’t. We moved here and unless God literally moves metaphorical mountains, I can’t move again at present. I firmly believed it was God’s will for us to be here – and I still do strangely, so perhaps my present ‘desert’ is an expiation of sin and things will change in the future. To be honest my ‘desert’ is nothing like the desert of years spent clinging to the NO because I thought the True Church had disappeared, but it was basically a slow path to divorce from the True Faith (unwittingly taken). God has now brought me home to the True Faith and I have online TLM daily etc. so in some ways I have a little oasis at present! I sincerely hope the consecration of Scotland brings graces on its people, especially on the Catholic Church. The preparation list is a mixed bag – I would have liked to see more emphasis on going to Confession, but at least it’s there. I agree about the prayer – that will be very interesting to hear, when the time comes. Look at this jaw dropping story from the Church in Scotland. Scottish Catholics are “too wishy-washy” about standing up for their beliefs, the Archbishop of Glasgow has warned. While advocating robust, confident Catholicism is admirable, this is hilarious coming from the Scottish Bishops. Their only priority for decades has been to play down Catholicism in order to pander to ecumenism and the secular world. The statement also ignores the fact that modern Catholics (including in Scotland) are the most ignorant and poorly instructed in all history. This because they have not been taught the faith properly and deliberately so – because properly instructed Catholics reject ecumenism and the like. In 13 years at Catholic schools and many years in novus ordo parishes I learned literally nothing about the Catholic faith, beyond the Our Father, Hail Mary and the rudiments of the nativity story. I always knew I had not been properly taught, but even so was shocked at the extent of my ignorance, when (in my 30s) I first held a Baltimore Catechsim No 1 (which is aimed at small children). I struggled to answer even the obvious and basic questions listed therein. Of course, I knew what a Bar Mitzvah was, and knew some Hebrew Phrases (but not a word of latin). And I could describe the good work a protestant minister had done with gangs in New York City. But i could not have given a coherent answer as to why God made me. (Fortunately, thanks to Catholic Truth and the SSPX I have been able to back-fill much of this missing knowledge). And so ++Tartaglia can hardly call Catholics wishy-washy, because modern Catholics do not know the Catholic faith, nor are they equipped to defend it. Another reason Catholics struggle to speak out to defend the faith (even if able) is because should you do so, in a modern parish or Catholic organisation, you can bet on being immediately savaged by other “Catholics” whose lives conflict with Church teaching and do not like being reminded of it. This is one reason I withdrew from participation in modern parishes / organisations – its all a facade, there’s no substance to it. For example, we discussed St Brides LGBT welcome recently. Who in that parish now would be confident to speak out on (e.g.) sexual morality when it is clear that the Parish Priest does not support that morality and when the local homosexual MP and his ‘husband’ are in the next pew? I can only conclude that ++Tartaglia is completely out of touch with the results of the non-teaching in the Scottish Church. WOW! Superb comment – the current dire state of the Church in Scotland summed up perfectly and wrapped in a large dose of insight. Well said, every word. If only every Catholic in Glasgow (at LEAST!) could read it, who knows what lights might switch on in their heads. Gabriel, it seems to me that Scottish priests seem to be spectacularly badly formed in the Faith. It was moving to Scotland that initiated my removing myself from the NO church completely. It was as if I’d been given a brightly lit signpost by heaven, showing the reality of it all. I have to admit, though, that, although I was convinced it was God’s will that I left it, it took me months to do so for various reasons. (guilt, obedience, abandoning it – and the loss of at least some sort of community). Since then my spiritual life has soared but yes, I’m having to relearn everything about the Faith that I learnt as a child and then learn all the ‘adult’ level of doctrine/Faith which I didn’t receive as a teenager/ young adult. If the Priests are so badly trained, what hope for the laity? Yes, it is a terrible situation, generations lost because of poorly formed priests and a crisis in vocations. Still, God provides for those who seek the truths of our holy religion, as you have already discovered, and we have the Rosary. I can’t quite remember who said it (sure it was a saint), but it has been observed that if a priest is a saint he will have a parish of saints. If he is lukewarm his parish will be indifferent. If he’s a bad priest he’ll have a parish of devils. Such is the power of the priest to sanctify and/or destroy souls. Thank God for the great graces you have obviously received and, to your credit, responded to in good measure. You are not alone in feeling guilty about taking time to do the right thing – it took me twenty years of making excuses – e.g. when I lived in England, that I couldn’t travel the distance required to get to a traditional Mass, work, various commitments, etc. But, don’t concern yourself (as I try not to in my own case) with that, but look onwards and upwards! After penning my response to you just now, I’ve received a telephone call from a Mass-goer at St James’s parish in Crookston. Archbishop Tartaglia was there, this morning at their Mass, to announce that their priest, Father Gerald Walsh, ordained in 2011, has left the priesthood. The archbishop lamented the fact that they have lost SO many priests in the past few months, including, I presume, through death, but there was only, apparently, sympathy for himself, the extra work this involves for HIM, with no sign of any light switching on in HIS head, as to the fact that young Catholics today are experiencing what YOU have experienced – no teaching in either schools or parishes – and then going on to be malformed in seminary if they feel called to the priesthood. After six years in the priesthood, Father Walsh has gone. How tragic is that? Please, on this Feast of the Assumption, pray for this young priest that, if circumstances permit, he may be restored to priestly ministry – after a period of formation in a traditional religious order or society. Our Lady of Fatima, pray for him! The Glasgow Herald report reflects extracts of a talk given in the USA by Archbishop Tartaglia in May this year. He is quoted as saying, “We accommodate. We compromise. We avoid conflict – even when conflict is the only proper course. We are too wishy-washy, …”. I wrote to Archbishop Tartaglia four years ago, taking issue with the response of the Church in Scotland to the problem in respect of Cardinal O’Brien, with my point being that the Church made a secular response in the terms of the world and not a positive Catholic response. “We should face up resolutely. This is not a crisis, it is just about normal. The reaction of MSM is the problem and that reaction is simply another move in the ongoing attacks on Christianity. I received no response, just as I had received no reponse to my previous letter. It seems that Archbishop Tartaglia will not discuss nor act himself on any religious basis. For interest I looked at Archbishop Tartaglia’s list of advisors; all are clergy. Clearly the Scottish Hierarchy are not to be jolted into reality by actual contact with sinners like us. Well done you for writing that letter to the Archbishop of Glasgow. I think the problem is that they have contact with the wrong “sinners” – they talk with laity who are dissenters, and that’s why they are so out of touch with the mainstream Catholic faithful, IMHO, which includes plenty of Catholics who are orthodox and wish to be good Catholics but are confused in the current crisis. I totally agree with you about spokesman not good enough. Well said! I think this excellent, though lengthy, article by Fr. Paul Robinson (SSPX) is relevant to the present discussion. It weighs the pros and cons of the SSPX’s acceptance of a Personal Prelature should Rome propose it. Brilliant piece of writing full of wisdom and discernment. It also casts a light on principle reason for the crisis in the Church, the poor formation of priests in the post-Vatican II Church. A must read! This is an article about the consecration of Scotland from the Paisley website. It’s on a pdf but I somehow can’t copy the link. What is the Consecration of Scotland to the Immaculate Heart of Mary? By our Act of Consecration of Scotland we entrust our country to the Immaculate Heart of Mary. We ask Mary to take it from our fragile hands into Her own, to defend it and guard it as Her own property and to make Jesus reign, conquer and rule in it. Outside of Her Son there is no salvation. In consecrating ourselves to Our Blessed Mother we are remembering how Mary’s Son, Jesus, consecrated us to Her from the Cross when He said, Behold Your Mother. It was only after He had done this that He knew all was now complete and, commending His Spirit into His Father’s hands, breathed His last. Hours before, at the Last Supper, Jesus already consecrated Himself to His Heavenly Father for our sake when He prayed: For their sakes I consecrate Myself so that they also may be consecrated in the truth. In order to bring about our consecration He entrusted us to His Mother’s Immaculate Heart. Jesus knew that His Mother always served His Father’s will. From the beginning She called Herself the handmaid of the Lord and, from the beginning, Jesus watched Her lead all the Father’s children to Her Son. Her last spoken words in the Gospel, to the stewards who entrusted themselves to Her at the Wedding Feast of Cana, are: Do whatever He tells you! So we consecrate ourselves to Mary in order to be consecrated with Her Son to the Father in the truth. As Jesus returned to the Father He sent His apostles into every nation and gave them His own authority. He said to them: All authority in heaven and on earth has been given to me. Go therefore and make disciples of all nations. In doing so Jesus promised them that whatever you bind on earth will be considered bound in Heaven. The Scottish bishops are the successors of the Apostles in Scotland. Gathering as a College of Bishops in union with Peter, and in whom resides the spiritual authority over Scotland, they invoke this authority for our country to make recourse and Intercession to our Mother Mary’s Heart, sure that She will not fail to come to our aid but will entrust us to the care of Her Beloved Son. Consecration Means the Total Gift of Ourselves to Mary. In making our Consecration we make a total gift of ourselves and our whole lives for all eternity to our Blessed Mother with childlike simplicity and confidence. We promise to offer Her all our prayers and the whole of our spiritual lives in great confidence that She, Our Mother, knows our needs best of all and, as our Most Powerful Intercessor, Her prayers are always heard. In consecrating ourselves to Mary we find ourselves in the safest path to union with Her Son, Our Lord, Jesus Christ. He is our goal but She is our surest guide to Him. It was only through the Virgin Mother that God came into our world and it is through Her that our world best goes to God. We know that to consecrate ourselves to Mary is to commit ourselves afresh as disciples, spent for the salvation of the world and completing in our own lives the sufferings of Christ as His Body, the Church. At Fatima Our Lady asked that Catholics turn our hearts to acts of reparation for our sins and the sins of the world, to the recitation of the Rosary for the conversion of our countries, and in devotion to Her Immaculate Heart on the First Saturdays of the month by attending Holy Mass and Confession and praying for the Church. Inserting our consecration into the grace of Fatima we pray that the power of this consecration will last for all time, cover every person in our land, and overcome every darkness and evil, and we pray to live out our consecration ever more faithfully from this day on by imitating Our Blessed Mother’s virtues. Consecration Saves our World from the Devil and His Wiles. The hope of salvation is never far away when a nation’s heart is turned in devotion to the Blessed Virgin Mary. The powers of evil are all too evident and menacing in our modern world today. Like the Apostles on Lake Galilee, as the storm threatened to capsize their boat, we feel ourselves crying to Jesus: Save us Lord. We perish! We sense ourselves living through a crucial moment in our world’s history and destiny where the battle between good and evil seems stronger than ever. We live in times plagued by the evils of war, terror and famine, of sins against life at its beginning and end, of hatred and the demeaning of human dignity, of widespread impurity, of national and international injustices, of the trampling of God’s commandments where our people seem even to have lost the sense of sin itself, of attempts to stifle the truth of God in human hearts, of sins against the Holy Spirit. allowed. We know these attacks are so relentless and severe that many of our brothers and sisters, God’s children, are being lost and that now we need good souls to give themselves up wholeheartedly to prayer, penance and reparation for their conversion. Our modern world sorely needs to feel the infinite power of God’s merciful love. At their source we know that such errors and darkness are sewn by the Devil Himself and that the Christian battle is against the supernatural forces that rejected from the Beginning the Son of God, Our Lord Jesus Christ, and that they will menace our world to the end. Christianity came to our Scottish shores with Saint Ninian and was built up by Saint Columba and the missionary founders of many of our towns and cities. Saint Margaret reigned as a Christian Queen who served the Catholic Faith, established true worship and devotion, set us on a course of wisdom and education and tended to the sick and the poor. Saint John Ogilvie gave His life for the conversion of Scotland to the one faith under Peter, and gave us a love for Holy Mass, the Sacraments and devotion to Our Blessed Mother. Scotland has shone brightly with the light of Christ and we ask the Blessed Virgin to strengthen and increase the Christian faith among the people of Scotland, knowing that the happy destiny of our land depends not finally on our politicians but on our consecration to Her. Yet now we must come to Mary and ask Her to drive from our land the darnel that the Devil has sewn among the good wheat of our Christian faith, to cast down the schemes of the enemies of religion, that Christian moral life may be restored, that freedom of conscience be respected, and that Scottish Catholics may fearlessly resist error by witnessing courageously to the Faith. Only thus will the Gospel again be preached in our nation and true justice, harmony and peace be spread. We pray that the saving Kingdom of God – a Kingdom of truth and life, of holiness and grace, of justice, love and peace – may triumph in our land and that the intercession of the Blessed Mother Mary will assist us and obtain from Her Son, Jesus, light to our minds, and strength to our souls to overcome, by God’s grace, all that is sullied and wrong. And, as we do, we ask Her to look kindly on those in our country who oppose the Christian vision so that their minds and hearts may be converted from sin and turn to the Light of Salvation. We come to make our consecration to Mary pained at all the unholiness in our Church and at how hard our hearts have been to Her Son’s call to repentance, penance, prayer and faith and how deaf our ears have been to His command to go into the vineyard of the world and gather in the harvest. We ask Our Lady, the handmaid of the Lord, to teach us how to hear afresh the voice of Her Son and answer His call. We pray that our consecration to Her will reinvigorate and unite our Church for its mission to herald Her Son’s Kingdom. Jesus’ Word assures us that the mystery our world’s Redemption is greater than the weight of its sin. He alone has power to make reparation on behalf our sins and to obtain our pardon and He has already paid the price in full of every sin that will ever be committed to the end of time. So we are certain that our Heavenly Father, Who loved the world so much as to send His Son for our Salvation and Whose Son consecrated Himself so that we would be consecrated in the Truth, will hear and answer our prayers. From the Beginning, from the Fall and the sin of Adam and Eve, and the sins of the Human Race since, our Heavenly Father promised that, standing with His Son, there would be a Woman to crush the head of the Serpent that threatens us and Who would prove Herself the Mother of all the Living. Especially when the powers of this world and of Hell seek to cast the Christian vision from view, especially when our times fall under the shadow of sadness and pain, devotion to Our Blessed Mother ensures the gates of Hell will never prevail. No-one who sought Mary’s protection was left unaided and that is why it is with proven faith that we entrust ourselves to Her as our Mother who knows Her children’s sufferings and hopes, Who has a mother’s awareness of our personal, ecclesial and national struggle between good and evil, between the light and darkness which besets us, and Who hears the cry of the people of Scotland who, moved by the Holy Spirit, are turning to Her for forgiveness and, with it, a new beginning in life, peace and hope. It is Her Son, the Risen Lord, Who stands before us saying: See I make all things new! Amen! Bishop John Keenan, Diocese of Paisley. I didn’t like the headline about “saves our Church from its sins” – we know that the Church herself is holy, and only the people sin, and the people are not “the Church”. There were a couple of other bits that made me a bit uncomfortable, but there is also a lot of good in this statement. Full text of motion: ‘That the Parliament recognises that Scotland’s Catholic bishops will consecrate the nation to the Immaculate Heart of Mary on 3 September 2017; understands that the bishops will pray for Scotland at the Marian Shrine at the Carfin Grotto, near Motherwell, asking that Scotland be energised with a renewed desire to seek the truth, and understands that at the same time they will pray for all parliamentarians and government, so that they will play their part in building a true civilisation of love and strive to create a place where all people are valued, a place where poor, lonely and marginalised people are not forgotten, and a place where people are free to practise their faith.’ END. Incredibly, I’m hearing that only a handful of bishops attended the consecration of Scotland – and at least one of those is the retired Archbishop Mario Conti. I’m awaiting confirmation of this and further details, so watch this space. Anyone who has this confirmation and further details, please post them here. Please and thank you. It seems you have heard correctly. Here’s a video of the event and you can clearly see the bishops in attendance are Archbishops Tartaglia and Conti and Bishops Keenan, McGill and Nolan. What possible reason could there be for the other bishops not to attend ? The Bishop of Motherwell didn’t attend and it took place in HIS diocese. I really do wonder how efficacious this will be when more than half the bishops couldn’t be bothered to turn up! If you go to the webpage of each Scottish Diocese, it lists the Bishops diary / engagements. Bishop Robson (Dunkeld) – he was making a Pastoral Visit to the Sisters of the Immaculate Heart of Mary in Nigeria. I do not know the Bishops connections with these Nigerian nuns. Bishop Toal (Motherwell) – Bishops Toal’s Calendar lists him as attending the consecration, although I see you mention he is not visible in the video. Archbishop Cushley (Sty Andrews & Edinburgh – he is listed as offering a “Festival Mass” in his Cathedral in Edinburgh, which is presumably connected to the Edinburgh Festival. Bishop Gilbert – he is listed as attending Confirmations at a parish in Aboyne. (i) The Bishops Conference of Scotland (as a whole) did not take the consecration especially seriously. Perhaps some of them subscribe to the view that the consecration of the world is adequate for everywhere. (ii) The Scottish Bishops are not all singing from the same hymn sheet or, at least, are poor at coordinating their efforts. I laughed when I read about the “Festival Mass”. You couldn’t make this stuff up. I wonder what happened to Bishop Toal? I had a similar reaction to the “festival mass” – what a lot of nonsense. I cannot think of a better setting for the Novus Ordo Mass than the Festival, particularly the Fringe. It’s as banal and crackpot as that annual loosing of loonies on the City of Edinburgh.. I guess it gives a whole new meaning to the “lunatic fringe”!